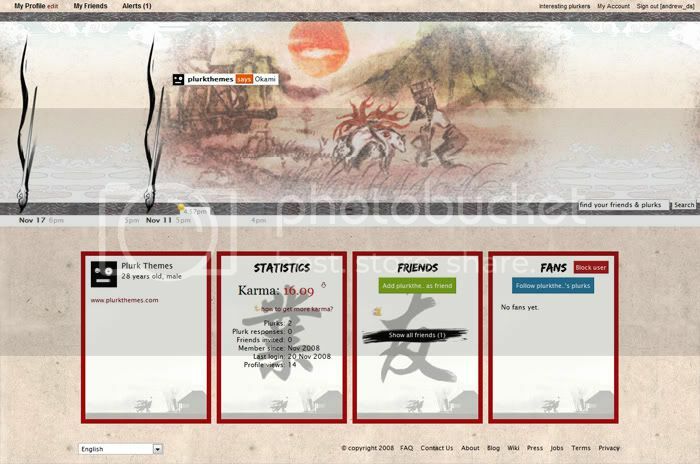 Okami theme for Plurk by Plurk Theme Sate Babi. I would love to find a Plurk Theme Designer to do a custom Plurk Theme of this caliber. Love it! Really cool theme. Congrats! amazing theme! I love it!